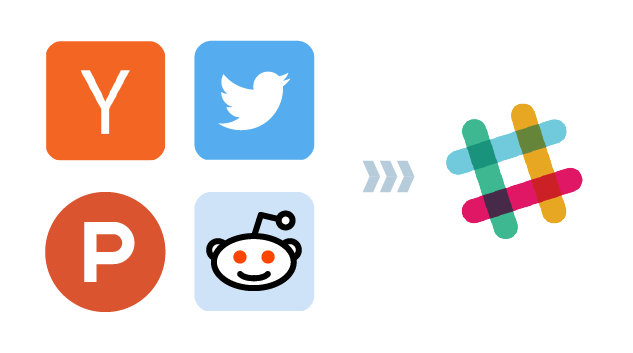 We send trending tech & startup posts from Product Hunt, Reddit, Hacker News and Twitter to your Slack real-time. Cannot subscribe with your Slack team? 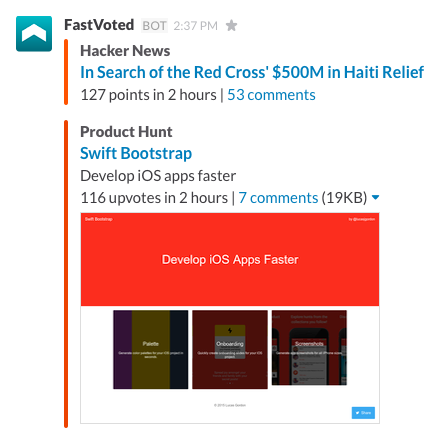 Join Slofile community to read FastVoted! 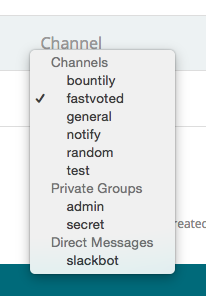 As soon as we find something is being fast-voted, you get a message in your Slack. We send only quality posts. You'll get ~15 messages per day. Subscribe in a direct message to you, or public channel, or private group. ... and this is totally free.